Growing up in Westport, Gabby Wimer accomplished a lot. At Staples High School she was a 4-year varsity swimmer and water polo player. She played violin, and sang in the choir. She spent 8 years swimming with the Y’s Water Rats, and helped out with Amnesty International. But she never took Staples’ popular Environmental Science course. And she had nothing to do with Wakeman Town Farm. Gabby always figured she’d go pre-med in college. And she was fascinated by the history of medicine. The University of Chicago seemed a perfect fit. She majored in the history of medicine and global health. She did volunteer work in Rwanda. Like many students, she had no idea where it would all lead. Then, as a senior, Gabby was chatting with 2 friends who had done global health work, in Nigeria and Guatemala. Gabby Wimer (center), flanked by University of Chicago friends Joyce Lu and Elizabeth Frank. They identified common problems — and vowed to take action. They competed for the Hult Prize: up to $1 million, plus mentorship, for start-up enterprises that tackle grave issues faced by billions of people. The larval form of a beetle — once thought of as a pest — can be baked or fried, for human consumption as a healthful snack food. Mealworms don’t need much water and eat almost anything, so raising them can help improve nutrition in areas that desperately need it. 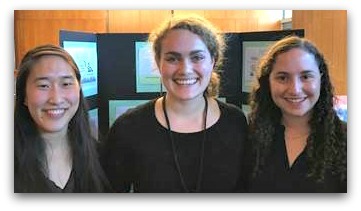 The women made it to the Hult Prize regional finals, in Boston. They won $20,000 in seed funding, from 3 organizations, including the Clinton Global Initiative University Resolution Project. In September, Gabby heads to Guatemala. Right now, she’s studying the best ways to farm mealworms in that country. She’s set up 2 mealworm plots at Wakeman Town Farm. She and steward Mike Aitkenhead are experimenting with different foods found in Guatemala. Banana peels work particularly well. She’s also testing different ways to produce mealworm powder — roasted in an oven, for example, or barbecued — along with the best grinding methods (food processor, mortar and pestle). Gabby’s colleagues are concocting recipes with tortillas and oatmeal. The women’s organization is called MealFlour. The goal is for families in Guatemala — a country with the 4th-highest rate of malnutrition in the world — to learn how to build mealworm farms using recycled materials. The mealworms are then dried and ground into a flour that’s more than twice as protein-efficient as beef. It’s a win-win: Along with nutritional benefits, MealFlour creates jobs. 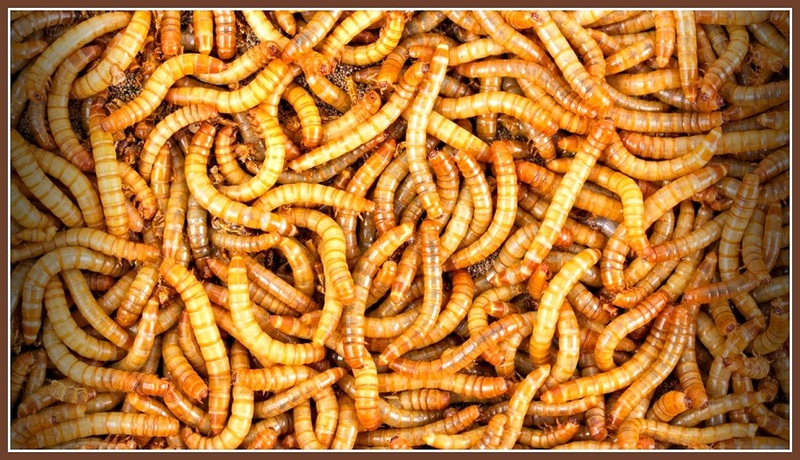 And mealworm farms are small: just one square foot. “I always wanted to do global health work. But I never knew about mealworms,” Gabby says. Perhaps they were convinced by Gabby’s delicious mealworm cookies. They taste good, she says. And — as she and her generation know — bringing sustainable agriculture and public health to areas of the globe that desperately need it is a recipe for success. Click here for “06880+” — the easy way to publicize upcoming events, sell items, find or advertise your service, ask questions, etc. It’s the “06880” community bulletin board! 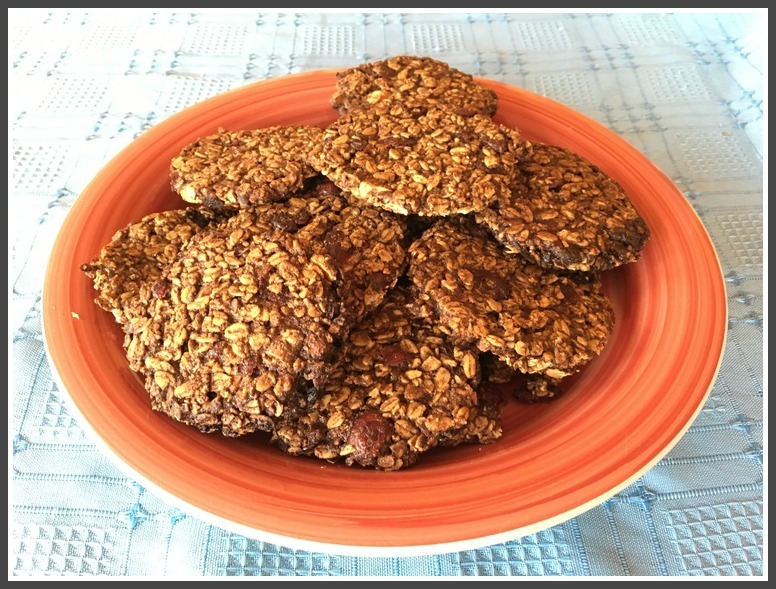 This entry was posted in Environment, Organizations, People and tagged Gabby Wimer, MealFlour, mealworms, University of Chicago, Wakeman Town Farm. Bookmark the permalink. Congratulations Gabby, Joyce and Elizabeth on the recognition for your hard work in this very important field. Projects like this will truly help the world, addressing nutrition, sustainability and public health. ‘Proud to know you and look forward to following your work here at 06880! Buenos viajes! Thank you for this enlightening story about looking to help and finding a way to give back and possibly change things forever. Great story! Thank you Gabby and friends!! Way to go, Gabby! So excited for you and this amazing project! Keep up the great work in Guatemala — even though I’ll miss seeing you here. Maybe Gabby could sell some cookies as an educational & fund-raising project at the Farmer’s Market? I’m totally impressed by Gabby’s project. Wishing her continued success! What a powerful impact she has had already on the world! This is a win, win, win. Congratulations Gabby. I have known Gabby (and family) for many years. She has always been an innovative thinker and will go far. Safe travels Gabby! Way to go, Gabby! I’d also like to give a shout-out to Mike Aitkenhead, the steward at Wakeman Town Farm and an award-winning Environmental Studies teacher at Staples High School. “Mr. A,” as the kids like to call him, works two jobs (running the farm and teaching at the high school) and still carves out space in his busy schedule to work on his own time with students like Gabby and James O’Brien (Farms Garden Technologies, Aug. 9) on inspiring projects to feed the world. This is fantastic, Gabby! If you are still in town once school starts, I’d love to have you speak to my students about your project!